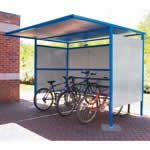 Sturdy single sided twin-level bike racks for 6 or 8 bikes. Constructed from tubular steel the fully welded rack is powder coated in a dark grey (RAL7024) providing additional protection against the prevailing elements. 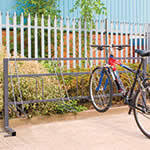 The twin-level rack is capable of storing either 6 or 8 bikes of any tyre width right up to the largest mountain bikes. 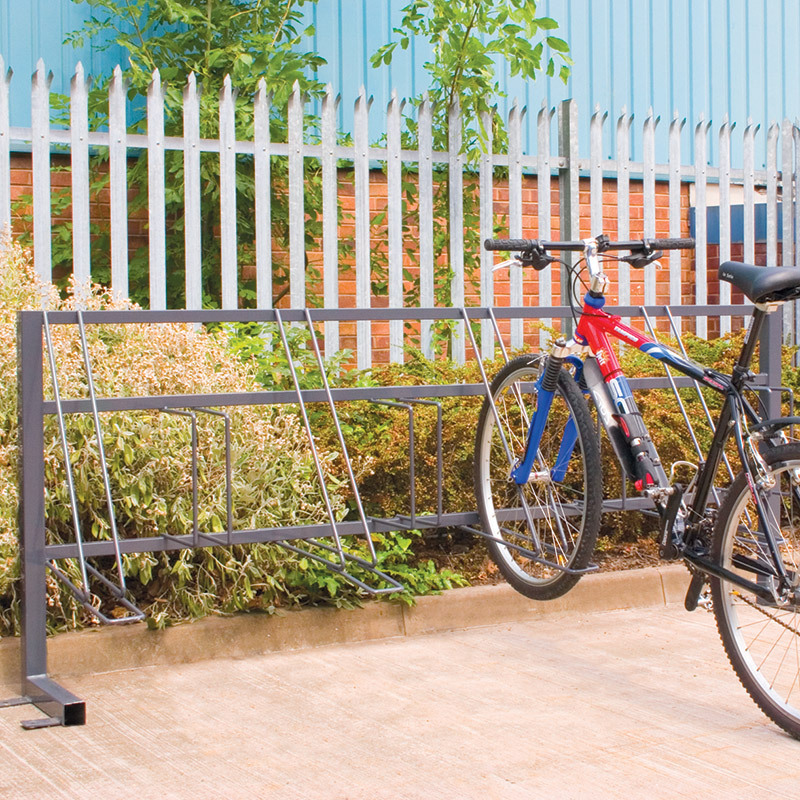 This multi-functional rack can be used individually as a freestanding rack or within our traditional cycle shelters and is supplied already assembled, just bolt down in the required position. - A good, sturdy piece of kit. Easy to erect.